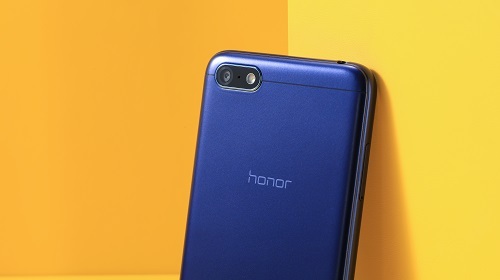 Honor has launched today its budget smartphone, Honor 7S, in India. This phone has 5.45-inch HD (1440 x 720 pixels) FullView 2.5D curved glass display with an aspect ratio of 18:9. Unde the hood is 1.5GHz, 64-bit Quad-Core MediaTek MT6739 processor paired with 2GB RAM and 16GB of internal storage which can be expanded upto 256GB with microSD card. This phone is packed with 3020mAh battery. This is Dual SIM phone and runs on Android Oreo 8.1 with EMUI 8.1 on top. For photography, this phone has 13MP primary camera with LED flash and PDAF. For selfies, it is equipped with 5MP front camera with LED Selfie Light. This phone also has smart face unlock which detects the user’s face instantly, whether you hold your phone in landscape, portrait or at any angle as claimed by the company. For connectivity, this phone offers options of 4G VoLTE, Wi-Fi 802.11 b/g/n, 3.5mm audio jack, Bluetooth 4.2 and GPS. Priced at Rs. 6,999 this phone will be available on Flipkart starting 14th September, 2:00 PM onwards in three colour variants Gold, Blue and Black.